Today is Kin 34 in the Dreamspell. It’s my Galactic Return. Today I have completed a full set of 52 Tzolkin cycles. I am within my 38th year on Earth. During this year I am manifest as kin 19 in the Dreamspell. It is also the Galactic Return of the beginning of the Dreamspell, which was initiated by Valum Votan and Bolon Ik on kin 34 White Galactic Wizard, July 26th 1987. Even though the Dreamspell is perpetual in nature as a 4D Time Fractal, today is a great day to celebrate, because we have completed 38 Tzolkin cycles since its re-initiation by Votan and Bolon Ik. 38 Tzolkin Cycles are 19 x 2, implying that the Tzolkin its self is celebrating the fact that it has activated the 2 x 19 Angels, a 4D equivalent of the 6D 19:19 Crystal Matrix. Seeing that this is inherently synchronised to today, Kin 34, Galactic Wizard and since the ground is fertile and ready, it feels fitting to release another important layer of information to compliment this series of posts, and further develop the sacred understanding for the adventurous few who have come this far already. The few who have got over the first hurdles and have embed the math, myth and holographic nature of the system deeply into their 5D archetype. I just hope you’re enjoying the ride. The ultimate aim for me through this process is to condense the riddle into a simple form. I presume this form would be mathematic and symbolic in nature. Pacal Votan was a mathematical genius. As were Valum Votan and Bolon Ik in their re-initiation of the Dreamspell Time Matrix. In many ways I don’t consider myself such a genius. The modern interpretation of genius implies mind, and I feel my use of math and synchronicity comes from beyond my human mind, and are formed from the connection of my higher self through the matrix. As I have searched for the answers, I have simply opened the book of self, my book of self, which has delivered me all the codes contained within the timeline of this blog. This is because I submit to my higher selfs role within the matrix. This is the ultimate wisdom that the 19:19 Matrix teaches. This is the wisdom that Pacal Votan embed into his perfectly prepared riddle. It is well known that the Earth rotates the Sun in 365.25 days. Everything we experience on Earth, weather, seasons, synchronicity is bound to this movement in space. The gravitational relationship between us The Earth, and our parent star, The Sun is a working example of a crystal matrix that connects planets, stars, dimensions. This is where it begins. It begins with the crystal synchronisation of the Earth with the Sun. Humans have submitted to this sync for as long as we have stood on this planet. The temples are built aligned with the solstices, equinoxes etc. Therefore, if we wish to find the answer to the universal equation. We simply need to apply a basic rule of math. This basic rule is the fundament of the 19:19 Crystal Matrix. When we mathematically square 19, we get 361, a perfect grid of 19 x 19 days. This fits, almost perfectly into the solar year. But what happens if we perform the inverse calculation on the Earths spin around the Sun. The equation would be the square root of the total amount of days it takes for the Earths to rotate around the Sun. Using this commonly used mathematical formula onto the celestial movement of our TimeShip Earth around the Sun, we arrive to a number 19.11 from the planetary and solar synchronisation. 19.11 is the proud voice of the Crystal Matrix unveiling its self to us. 19.11 is representative of the 19:19 Matrix, and the 11:11 inner matrix, the spiral paths of the two crystal archetypes of the 19:19 Crystal Matrix and how, mathematically they form a perfect Merkaba, which is the essential form of the 19th Angel. Also, how incredible it is that the two numbers 19 and 11 represent the actual solar kins of Pacal Votan and Valum Votan. Pacal Votan was born as Resonant Storm in the Long Count (I believe he was crowned Galactic Sun in the morning after his birth, when the sun first touched Palenque). Valum Votan was born 11 Monkey in the Dreamspell. Pacal / Storm = 19, Valum / Monkey = 11. Pacal appears to have been aware of this upon initiation of the prophecy. Aware enough to leave this as the final riddle as he entered his death passage. Both Pacal and Valum Votan chose to lay in their transitional state of death with a jade cube in one hand, and a jade sphere in the other. How does 19.11 relate to the cube and the sphere ? As I demonstrated in the last post, Merlins invocation of Self. The 19 levelled Tetrahedron contains 1330 spheres. And the 9 levelled pyramid with the anomalous apex(blueprint of The Temple of Inscriptions) contains 1330 cubes. 1330 unites these two objects on a higher fractal level. Both create pyramidal or tetrahedral structures. On a sub-fractal level, the Sphere represent the Earth, as it cycles around the Sun. It represents a perfect year. The Cube also represents the movement of the crystals on matrix. The 11:11 Matrix is walked 3 times during the Solar year, the 11 in 3 dimensions is a cube. The cube, represents the completion of the 11:11:11 cubes of 1331 years, when the First Stone would be laid for the next creation. This is what we celebrated with New Earth Synchronisation just recently. Pacal Votans final riddle, is that both these forms add up to 19, and 11 respectively. Both add up to the unification of The Votan within the 19:19 Crystal Matrix. Pacal Votan represent the 19, whilst Valum Votan represent the 11. And, as the process of square rooting the total of days in a year reduces a 3D/4D Time/Space synchronisation into a number. The same can be said if we reduce the form of the 3D Sphere and Cube to 2D shapes, they become a Circle and a Square. I can only presume this is what the Galactic Wizard is manifested to do. To introduce the initiates of the Dreamspell into the higher galactic/crystalline order. This model is encoded deeply into the Dreamspell. The Dreamspell was initiated on Kin 34, and as such is the higher dimensional seed of what Valum Votan refers to as the Sirius Cycle of the Galactic Wizard, the 52 year initiation into the Dreamspell, the epicentre of which was Galactic Seed. Galactic Synchronisation. Taking this concept further, if we look at the harmonics of 19 and 11. We can view this as Spectral (11), and Storm (19). This is kin 219. 2:19 , equivalent to 19:19. Back to Kin 219 (6.6.14). In the early hours of this day (6th day of the 6th Month of 2014), whilst randomly googling for something or other, this google doodle presented itself to me. I was astonished at the precision of this synchronicity. The matrix of 19:19 displayed itself to me on kin 219 before I could even google something. Google itself fell divinely into the matrix. You can see references to the “mistake” of Google on this series of website links below. Google literally had to answer the world as to why they chose this as their daily doodle, and not a reference to D-Day, when the Allies invaded Nazi Europe in the Second World War, which happened on the same day 70 years earlier in 1944. I invite you to investigate further about the game GO, and also about its acclaimed master, Honinbo Shusako. The Google doodle refers to the fact that June 6th, 2014, kin 219, Spectral Storm, was his 185th birthday. He was born 6th June 1829. 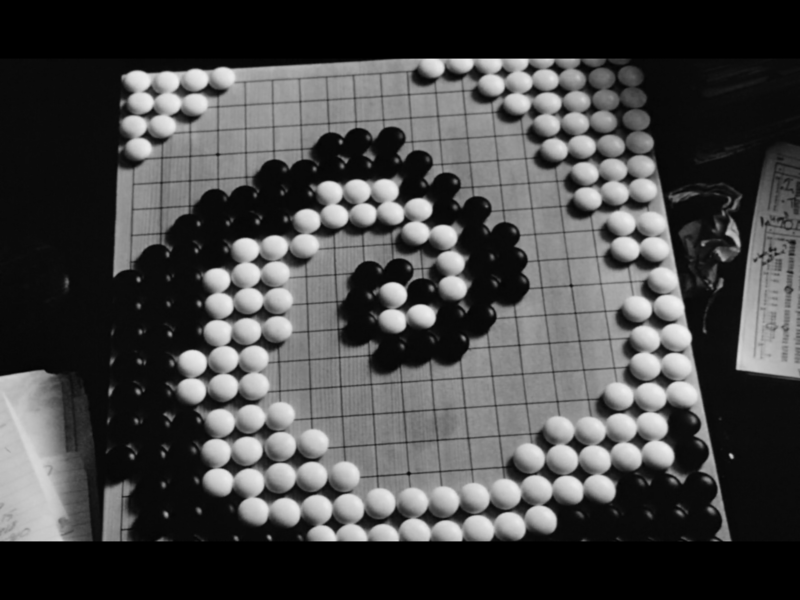 The ancient eastern strategy game GO is built upon a matrix of 19 squared. The game is quite different to other strategy games. Chess for example represents war, man against man, nation against nation, Kings against Kings. The worlds most renowned master of this game, Honinbo Shusako, who’s 185th birthday was celebrated on kin 219 in the Google doodle above was born a White Galactic Wizard, kin 34. This reveals to me, that White Galactic Wizard, Kin 34 is the beholder of the legacy of 19, and that the only genius we need to refer to, is our higher self, our divine self. Our self that exists on multiple planes within the Divine Matrix of 19.
totally understand …go with it wiz 🙂 . yes..realising and stating out loud what your purpose and understanding is important, It is honouring the information and synchronisation and awesome way we are shown by the spirit..( loosely termed as far beyond that) world and by our own selves..higher matrix part of ourselves..the clues and meanings, that are specifically placed for us to find and ‘know’..see clearly and share. enjoying your news and a discoverer of my own .. trail of synch.. which I have to say, is in SYNCH 🙂 with your own ( but not as technical 😉 .. numerology is my game and fame and passion, so I read and see the number in many ways, still hidden. as 107 blue hand.. I send regards and thankyous.